The next morning we ate our breakfast and then headed out of the desert from Rancho Mirage. 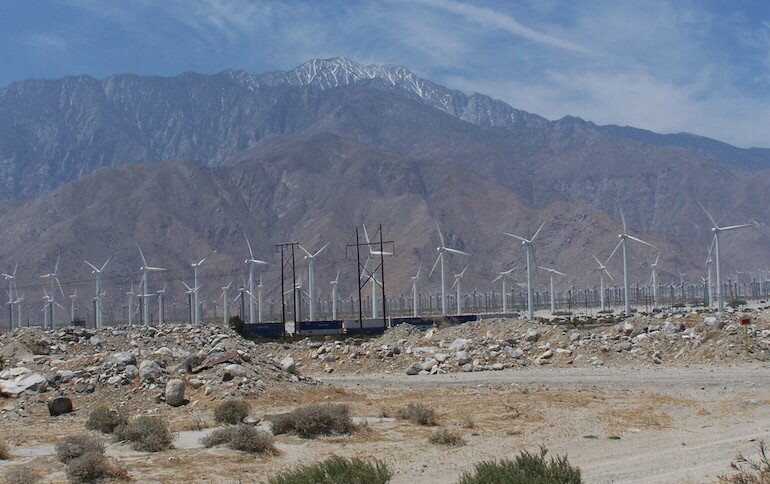 We drove through the Inland Empire of San Bernardino County, before cutting over to 210 near San Dimas. I don’t know why, but it occurred to me that Bill and Ted were from San Dimas. 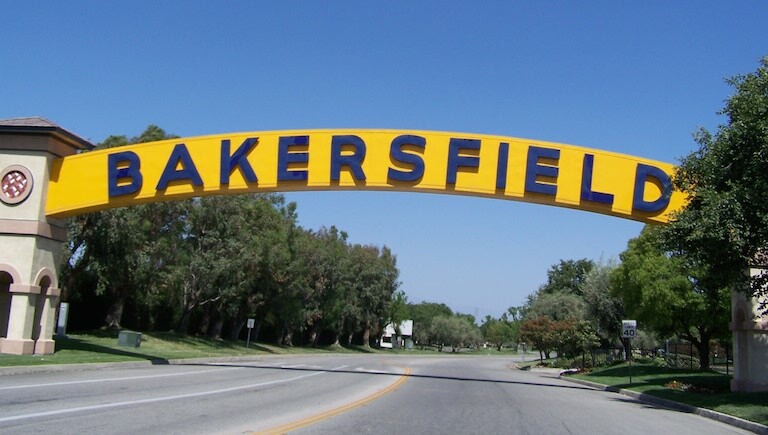 All I could think about was “be excellent to each other!” We passed beautiful Pasadena and the San Gabriel Mountains before heading north on I-5 to Bakersfield. The Central Valley is gorgeous, but it’s never too hard to remember this is earthquake country. The land is rugged and scarred by tremors over the years. In Bakersfield, we stopped for lunch at Carl’s Junior and visited Buck Owen’s Crystal Palace. 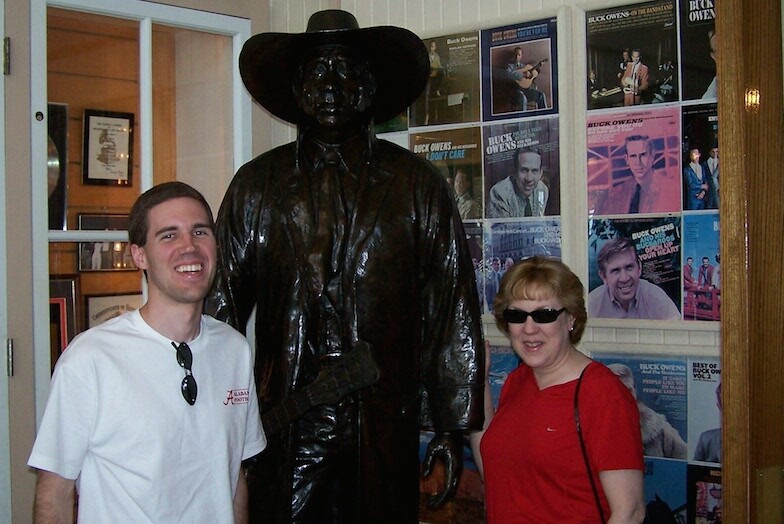 This is the home venue of the honky-tonk legend, Buck Owens. He is considered the creator of cool California country music. It’s an interesting place to learn about not only Mr. Owens. but also about the California genre of country music. 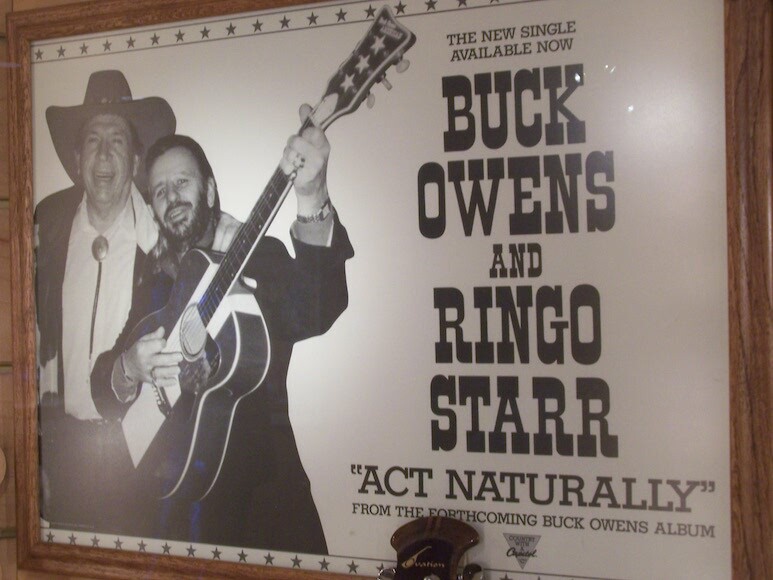 On display is a nice collection of Buck Owens’ memorabilia. We then headed up Highway 99 through Fresno before taking Highway 41 north to Oakhurst, where we stopped for dinner in Oakhurst. Afterwards, we loaded up for the short drive towards the south entrance to Yosemite. We stayed nearby at the Tenaya Lodge. This room had the weirdest hot tub in the suite I have ever seen: it had blinds! I gave it a test before going to bed tonight.